Buying a used car near Las Vegas has many benefits, and at Findlay Toyota, we have used cars and used SUVs in many different makes and models. Shop our wide selection of used vehicles, test out their unique features, and find the right vehicle for your needs, budget, and lifestyle. The Findlay used cars inventory is well-renowned for a reason. ONLY 37,850 Miles! EPA 24 MPG Hwy/18 MPG City!, $500 below Kelley Blue Book! LT trim. iPod/MP3 Input, CD Player, Onboard Communications System, Aluminum Wheels, Flex Fuel, Satellite Radio. CLICK NOW!======KEY FEATURES INCLUDE: Flex Fuel, Satellite Radio, iPod/MP3 Input, CD Player, Onboard Communications System. MP3 Player, Privacy Glass, Keyless Entry, Steering Wheel Controls, Electronic Stability Control. ======EXPERTS ARE SAYING: KBB.com explains ''The lack of wind and road noise at speed in the 2016 Silverado could just have you forgetting you're driving a full-size pickup truck.''. Great Gas Mileage: 24 MPG Hwy. ======PRICED TO MOVE: This Silverado 1500 is priced $500 below Kelley Blue Book. ======WHO WE ARE: # 1 SELLING TOYOTA DEALERSHIP IN NEVADA. LARGEST INVENTORY OF NEW AND PRE-OWNED VEHICLES. BRING THIS AD IN AND RECEIVE 2 MOVIE TICKETS JUST FOR TAKING A TEST DRIVE. JOHN BARR SAYS ''I WILL DO ANYTHING TO SELL YOU A CAR'' Pricing analysis performed on 2/22/2019. Fuel economy calculations based on original manufacturer data for trim engine configuration. Please confirm the accuracy of the included equipment by calling us prior to purchase. EPA 25 MPG Hwy/18 MPG City! SE trim. NAV, Sunroof, 3rd Row Seat, Rear Air, Satellite Radio, Power Liftgate, Alloy Wheels, BLIND SPOT MONITOR, RADIO: DISPLAY NAVIGATION W/ENTUNE, POWER TILT/SLIDE MOONROOF W/SUNSHADE CLICK NOW!======KEY FEATURES INCLUDE: Third Row Seat, Power Liftgate, Rear Air, Satellite Radio, Aluminum Wheels Rear Spoiler, Power Third Passenger Door, Remote Trunk Release, Keyless Entry, Privacy Glass. ======OPTION PACKAGES: RADIO: DISPLAY NAVIGATION W/ENTUNE high resolution 6.1'' touch-screen w/split-screen capability, integrated backup camera display, AM/FM/CD player w/MP3/WMA playback capability, 6 speakers, SiriusXM satellite radio compatibility (additional hardware and subscription required), HD Radio w/iTunes Tagging, auxiliary audio jack, USB port w/iPod connectivity and control, hands-free phone capability, phone book access, advanced voice recognition and music streaming via Bluetooth wireless technology, POWER TILT/SLIDE MOONROOF W/SUNSHADE, BLIND SPOT MONITOR lane change assist. Toyota SE with SUPER WHITE exterior and DARK CHARCOAL interior features a V6 Cylinder Engine with 266 HP at 6200 RPM*. ======EXPERTS REPORT: Edmunds.com explains ''We've long been impressed with the Sienna's V6 engine, which has the juice to deliver lively acceleration whether you're bopping around town running errands or getting up to cruising speed on the freeway.''. Great Gas Mileage: 25 MPG Hwy. ======WHO WE ARE: # 1 SELLING TOYOTA DEALERSHIP IN NEVADA. LARGEST INVENTORY OF NEW AND PRE-OWNED VEHICLES. BRING THIS AD IN AND RECEIVE 2 MOVIE TICKETS JUST FOR TAKING A TEST DRIVE. JOHN BARR SAYS ''I WILL DO ANYTHING TO SELL YOU A CAR'' Pricing analysis performed on 2/23/2019. Horsepower calculations based on trim engine configuration. Fuel economy calculations based on original manufacturer data for trim engine configuration. Please confirm the accuracy of the included equipment by calling us prior to purchase. CARFAX 1-Owner. EPA 28 MPG Hwy/20 MPG City! White Diamond Pearl exterior and Parchment interior, RDX trim. Heated Seats, Sunroof, Satellite Radio, Back-Up Camera, Alloy Wheels, Power Liftgate. CLICK NOW!======KEY FEATURES INCLUDE: Sunroof, Power Liftgate, Heated Driver Seat, Back-Up Camera, Satellite Radio Rear Spoiler, MP3 Player, Keyless Entry, Remote Trunk Release, Privacy Glass. Acura RDX with White Diamond Pearl exterior and Parchment interior features a V6 Cylinder Engine with 279 HP at 6200 RPM*. ======EXPERTS CONCLUDE: Edmunds.com's review says ''Its steering feels light but precise, and overall handling is composed and secure when driving through turns. On the open highway, the RDX boasts low levels of road and wind noise, with an impressively comfortable ride.''. Great Gas Mileage: 28 MPG Hwy. ======BUY WITH CONFIDENCE: CARFAX 1-Owner ======BUY FROM AN AWARD WINNING DEALER: # 1 SELLING TOYOTA DEALERSHIP IN NEVADA. LARGEST INVENTORY OF NEW AND PRE-OWNED VEHICLES. BRING THIS AD IN AND RECEIVE 2 MOVIE TICKETS JUST FOR TAKING A TEST DRIVE. JOHN BARR SAYS ''I WILL DO ANYTHING TO SELL YOU A CAR'' Horsepower calculations based on trim engine configuration. Fuel economy calculations based on original manufacturer data for trim engine configuration. Please confirm the accuracy of the included equipment by calling us prior to purchase. LT trim. Third Row Seat, Heated Seats, Power Liftgate, Rear A/C, Aluminum Wheels, Captains Chairs, All Wheel Drive. CLICK ME!======KEY FEATURES INCLUDE: 3rd Row Seat, All Wheel Drive, Rear Bucket Seats, Power Liftgate, Rear A/C Rear Spoiler, MP3 Player, Rear Seat Audio Controls, Remote Trunk Release, Keyless Entry. ======EXPERTS ARE SAYING: Edmunds.com explains ''Restyled inside and out, the 2013 Chevrolet Traverse retains most of its underpinnings and remains a worthy consideration among large crossover SUVs.''. ======BUY FROM AN AWARD WINNING DEALER: # 1 SELLING TOYOTA DEALERSHIP IN NEVADA. LARGEST INVENTORY OF NEW AND PRE-OWNED VEHICLES. BRING THIS AD IN AND RECEIVE 2 MOVIE TICKETS JUST FOR TAKING A TEST DRIVE. JOHN BARR SAYS ''I WILL DO ANYTHING TO SELL YOU A CAR'' Please confirm the accuracy of the included equipment by calling us prior to purchase. CARFAX 1-Owner, ONLY 19,323 Miles! Limited Ultimate trim. Moonroof, Nav System, Heated Leather Seats, Third Row Seat, Aluminum Wheels, Panoramic Roof, Quad Bucket Seats. SEE MORE!======KEY FEATURES INCLUDE: Leather Seats, Third Row Seat, Navigation, Sunroof, Panoramic Roof Rear Spoiler, MP3 Player, Remote Trunk Release, Privacy Glass, Keyless Entry. ======EXPERTS REPORT: Edmunds.com explains ''Inside, the 2017 Hyundai Santa Fe is an impressive piece of work. Its combination of top-notch materials, an attractive design and the functional, intuitive layout of controls. make it one of the most comfortable and easy to live with models in the crossover segment.''. ======BUY WITH CONFIDENCE: CARFAX 1-Owner ======WHO WE ARE: # 1 SELLING TOYOTA DEALERSHIP IN NEVADA. LARGEST INVENTORY OF NEW AND PRE-OWNED VEHICLES. BRING THIS AD IN AND RECEIVE 2 MOVIE TICKETS JUST FOR TAKING A TEST DRIVE. JOHN BARR SAYS ''I WILL DO ANYTHING TO SELL YOU A CAR'' Pricing analysis performed on 3/16/2019. Please confirm the accuracy of the included equipment by calling us prior to purchase. CARFAX 1-Owner, GREAT MILES 26,663! HSE LUX Landmark Edition trim. PRICED TO MOVE $1,600 below Kelley Blue Book! Moonroof, Heated Seats, Third Row Seat, Heated Rear Seat(s), Rear A/C, Aluminum Wheels, Four Wheel Drive. CLICK ME!======KEY FEATURES INCLUDE: 3rd Row Seat, Four Wheel Drive, Rear A/C, Heated Front Seat(s), Heated Rear Seat(s). MP3 Player, Privacy Glass, Child Safety Locks, Steering Wheel Audio Controls, Heated Mirrors. ======EXPERTS REPORT: Edmunds.com's review says ''One of the LR4's most noticeable interior traits is the exceptionally upright position of the front seats. You sit regally upright without the need to extend your legs forward, and it highlights the outstanding headroom provided by the LR4's tall roof line.''. ======AFFORDABLE TO OWN: This LR4 is priced $1,600 below Kelley Blue Book. ======BUY WITH CONFIDENCE: CARFAX 1-Owner ======VISIT US TODAY: # 1 SELLING TOYOTA DEALERSHIP IN NEVADA. LARGEST INVENTORY OF NEW AND PRE-OWNED VEHICLES. BRING THIS AD IN AND RECEIVE 2 MOVIE TICKETS JUST FOR TAKING A TEST DRIVE. JOHN BARR SAYS ''I WILL DO ANYTHING TO SELL YOU A CAR'' Pricing analysis performed on 3/31/2019. Please confirm the accuracy of the included equipment by calling us prior to purchase. CARFAX 1-Owner, ONLY 24,189 Miles! LX trim. FUEL EFFICIENT 46 MPG Hwy/51 MPG City! Satellite Radio, iPod/MP3 Input, Onboard Communications System, Alloy Wheels, Back-Up Camera, Hybrid. READ MORE!======KEY FEATURES INCLUDE: Back-Up Camera, Hybrid, Satellite Radio, iPod/MP3 Input, Onboard Communications System. Rear Spoiler, MP3 Player, Keyless Entry, Privacy Glass, Steering Wheel Controls. ======EXPERTS ARE SAYING: ''Braking feels completely natural under normal conditions, and the switchover from electric regeneration to conventional braking is imperceptible.'' -Edmunds.com. Great Gas Mileage: 51 MPG City. ======SHOP WITH CONFIDENCE: CARFAX 1-Owner ======WHY BUY FROM US: # 1 SELLING TOYOTA DEALERSHIP IN NEVADA. LARGEST INVENTORY OF NEW AND PRE-OWNED VEHICLES. BRING THIS AD IN AND RECEIVE 2 MOVIE TICKETS JUST FOR TAKING A TEST DRIVE. JOHN BARR SAYS ''I WILL DO ANYTHING TO SELL YOU A CAR'' Pricing analysis performed on 3/20/2019. Fuel economy calculations based on original manufacturer data for trim engine configuration. Please confirm the accuracy of the included equipment by calling us prior to purchase. CARFAX 1-Owner, LOW MILES - 11,914! EPA 29 MPG Hwy/21 MPG City! Satellite Radio, Back-Up Camera, Bluetooth, iPod/MP3 Input, 4x4, TRANSMISSION: 9-SPEED 948TE AUTOMATIC... PASSIVE ENTRY REMOTE START PACKAGE, Alloy Wheels CLICK ME!======KEY FEATURES INCLUDE: 4x4, Back-Up Camera, Satellite Radio, iPod/MP3 Input, Bluetooth. Rear Spoiler, MP3 Player, Privacy Glass, Steering Wheel Controls, Child Safety Locks. ======OPTION PACKAGES: ENGINE: 2.4L I4 MULTIAIR Engine Oil Cooler (STD), PASSIVE ENTRY REMOTE START PACKAGE Remote Start System, Passive Entry/KEYLESS-GO, TRANSMISSION: 9-SPEED 948TE AUTOMATIC Vinyl Shift Knob (STD). Jeep Latitude with Black exterior and Black interior features a 4 Cylinder Engine with 180 HP at 6400 RPM*. ======EXPERTS CONCLUDE: ''It might look rugged on the outside, but on the inside the Renegade is comfortable and well-trimmed. The boxy shape and tall cabin mean lots of headroom and three-across seating is possible thanks to the exceptional width.'' -Edmunds.com. Great Gas Mileage: 29 MPG Hwy. ======BUY WITH CONFIDENCE: CARFAX 1-Owner ======BUY FROM AN AWARD WINNING DEALER: # 1 SELLING TOYOTA DEALERSHIP IN NEVADA. LARGEST INVENTORY OF NEW AND PRE-OWNED VEHICLES. BRING THIS AD IN AND RECEIVE 2 MOVIE TICKETS JUST FOR TAKING A TEST DRIVE. JOHN BARR SAYS ''I WILL DO ANYTHING TO SELL YOU A CAR'' Horsepower calculations based on trim engine configuration. Fuel economy calculations based on original manufacturer data for trim engine configuration. Please confirm the accuracy of the included equipment by calling us prior to purchase. CARFAX 1-Owner, ONLY 10,195 Miles! ES 350 trim. FUEL EFFICIENT 30 MPG Hwy/21 MPG City! iPod/MP3 Input, CD Player, Onboard Communications System, Alloy Wheels, Back-Up Camera, Satellite Radio. READ MORE!======KEY FEATURES INCLUDE: Back-Up Camera, Satellite Radio, iPod/MP3 Input, CD Player, Onboard Communications System. MP3 Player, Keyless Entry, Remote Trunk Release, Steering Wheel Controls, Child Safety Locks. ======EXPERTS CONCLUDE: ''The ES soaks up road imperfections like a sponge in water, yet its driving dynamics are far from soft or disconnected.'' -KBB.com. Great Gas Mileage: 30 MPG Hwy. ======BUY WITH CONFIDENCE: CARFAX 1-Owner ======WHO WE ARE: # 1 SELLING TOYOTA DEALERSHIP IN NEVADA. LARGEST INVENTORY OF NEW AND PRE-OWNED VEHICLES. BRING THIS AD IN AND RECEIVE 2 MOVIE TICKETS JUST FOR TAKING A TEST DRIVE. JOHN BARR SAYS ''I WILL DO ANYTHING TO SELL YOU A CAR'' Fuel economy calculations based on original manufacturer data for trim engine configuration. Please confirm the accuracy of the included equipment by calling us prior to purchase. CARFAX 1-Owner. XSE trim. EPA 39 MPG Hwy/28 MPG City! Heated Leather Seats, Bluetooth, iPod/MP3 Input, Aluminum Wheels, Back-Up Camera. CLICK NOW!======KEY FEATURES INCLUDE: Leather Seats, Heated Driver Seat, Back-Up Camera, iPod/MP3 Input, Bluetooth Rear Spoiler, MP3 Player, Keyless Entry, Remote Trunk Release, Steering Wheel Controls. ======EXPERTS REPORT: Edmunds.com's review says ''The big and comfortable seats, well-executed ride and powerful climate control mean the Camry will suit drivers of most sizes well even on long trips.''. Great Gas Mileage: 39 MPG Hwy. ======PURCHASE WITH CONFIDENCE: CARFAX 1-Owner ======BUY FROM AN AWARD WINNING DEALER: # 1 SELLING TOYOTA DEALERSHIP IN NEVADA. LARGEST INVENTORY OF NEW AND PRE-OWNED VEHICLES. BRING THIS AD IN AND RECEIVE 2 MOVIE TICKETS JUST FOR TAKING A TEST DRIVE. JOHN BARR SAYS ''I WILL DO ANYTHING TO SELL YOU A CAR'' Fuel economy calculations based on original manufacturer data for trim engine configuration. Please confirm the accuracy of the included equipment by calling us prior to purchase. CARFAX 1-Owner, GREAT MILES 27,527! NAV, Heated Seats, Tow Hitch, Brake Actuated Limited Slip Differential, Alloy Wheels, Running Boards, 4x4, ANTI-SPIN DIFFERENTIAL REAR AXLE, TRANSMISSION: 5-SPEED AUTOMATIC (W5A5... CLICK ME!======KEY FEATURES INCLUDE: 4x4, Heated Driver Seat, Running Boards, Aluminum Wheels, Brake Actuated Limited Slip Differential Keyless Entry, Privacy Glass, Steering Wheel Controls, Child Safety Locks, Rollover Protection System. ======OPTION PACKAGES: RADIO: UCONNECT 730N CD/DVD/MP3/HDD/NAV SIRIUSXM Travel Link, Uconnect Voice Command w/Bluetooth, Remote USB Port, Integrated Voice Command w/Bluetooth, 40GB Hard Drive w/20GB Available, SIRIUSXM Traffic, TRANSMISSION: 5-SPEED AUTOMATIC (W5A580) Hill Descent Control, Tip Start, ALPINE 9-SPEAKER W/ALL WEATHER SUBWOOFER Amplified 552W 9 speaker, including subwoofer, AIR CONDITIONING W/AUTO TEMP CONTROL Air Filtering, Humidity Sensor, ANTI-SPIN DIFFERENTIAL REAR AXLE, TRAILER TOW GROUP Class II Receiver Hitch, Trailer Tow w/4-Pin Connector Wiring, ENGINE: 3.6L V6 24V VVT (STD). Jeep Altitude with Black Clearcoat exterior and Black interior features a V6 Cylinder Engine with 285 HP at 6400 RPM*. ======EXPERTS RAVE: KBB.com's review says ''There's generous ground clearance, minimal overhangs, and that distinctive Jeep look, of course. Being equipped with 4-wheel drive, the Wrangler is nearly unstoppable off road.''. ======PURCHASE WITH CONFIDENCE: CARFAX 1-Owner ======VISIT US TODAY: # 1 SELLING TOYOTA DEALERSHIP IN NEVADA. LARGEST INVENTORY OF NEW AND PRE-OWNED VEHICLES. BRING THIS AD IN AND RECEIVE 2 MOVIE TICKETS JUST FOR TAKING A TEST DRIVE. JOHN BARR SAYS ''I WILL DO ANYTHING TO SELL YOU A CAR'' Horsepower calculations based on trim engine configuration. Please confirm the accuracy of the included equipment by calling us prior to purchase. Why Buy a Used Vehicle From Findlay Toyota? The experts on the Findlay used cars team know true quality when they see it, and since we inspect every vehicle on our lot, you can be sure that you’ll never drive away feeling unsatisfied. 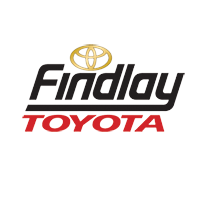 Visit Findlay Toyota to schedule a test drive in any of our used cars near Las Vegas, today!